Wow…where in the world did September go? As I start this daily blog, I’m struggling with the thought of, “Where do I even begin?” There’s so much I would love to tell you about, but September, in many ways, is a complete blur for me now. Our home was filled with over-the-top busyness and excitement as we prepared for our youngest son’s wedding. I had a blast working my way through Pinterest boards putting the last ideas together for a nice and fun rehearsal dinner. 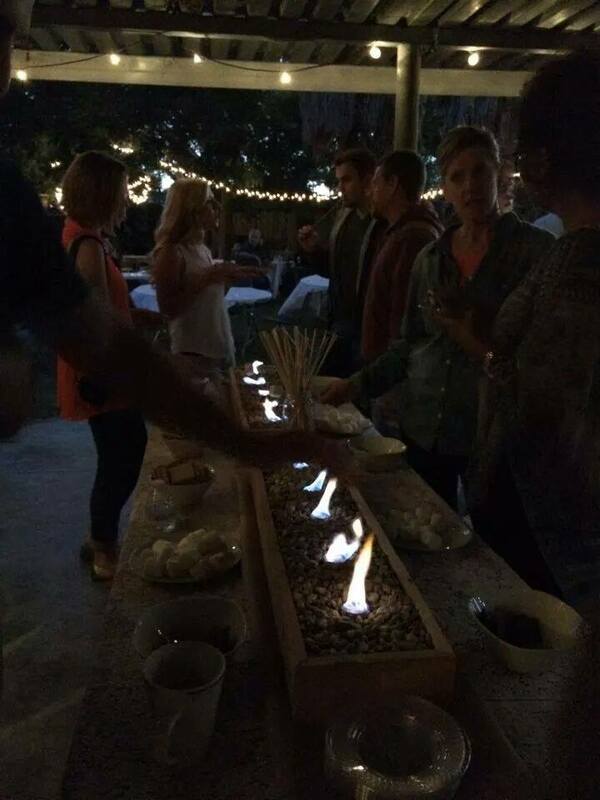 Who knew that you could turn a pizza fest into something glamorous? Add a bit of burlap, lace and silver plates and you’ve just stepped it up a big notch. 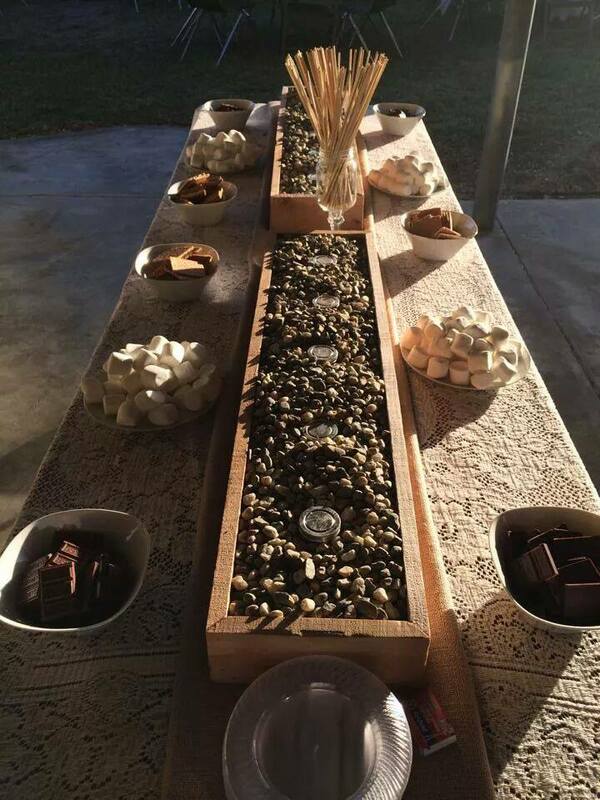 By the way…the s’more bar was a huge hit! I highly recommend it! My family is already asking when we’re going to have an evening of roasting some-more. From the rehearsal dinner to the very end of the wedding, the air was filled with so much romance and fun, that it practically overwhelmed our hearts. I have to believe that everyone who attended, walked away that evening feeling the passion these two have for each other. I know that in my own family, it seemed to rekindle something in all of us; love and passion in our own marriages, and a huge sense of family – and just how important that is in the scheme of this journey we’re all on. Family is everything. It should be. I’m amazed at how fast September came and went. It’s made me aware of just how fast life can continue to flow. I’ll admit, there are times that I want it to hurry up and times when I want it to slow down. But as I sit here and reflect back on the last month, I realize that slowing it down is the better of the two, because I want to capture it all. Yes…all of it; my time spent at home, my time spent at work (imagine that…actually embracing our hours at work), my time spent with friends and acquaintances. But especially, my time spent with my family. So Welcome October! I’m looking forward to all that this next season has in store for us and I long to embrace every single moment of it. Comment below. I would love to hear how you celebrate family and friends. This entry was posted in The Journey, The Simple Life and tagged family, friends, home, life's journey, love, marriage. Bookmark the permalink. Oooo…Apple Hill! 🙂 Hope it works out for you guys this year. You know me…a sentimental fool! 🙂 But I would say Thanksgiving Bingo is at the top of the list! HB and I have a few more ideas to add to the list though. Oh. I can’t wait for BINGO!! !